Responsible for excellent execution of strategies that add up to annual delivery of service to 50,000+ customers across all regions in One Acre Fund Tanzania. Through collaboration with the Program Design team, the annual repayment strategic plan, and management of the repayment coordinator, plan the long and short term tactics, tools, and messaging for repayment execution through the field team, aiming to achieve >98% repayment of loans across more than 50,000 clients. Through collaboration with the Enrollment and Expansion Lead and the training execution team, lead the implementation of the annual enrollment strategy through the field team, aiming to increase our farmers/site average to over 180 in 2019. In close collaboration with the Impact at Scale Lead and the field training execution team, ensure effective implementation of the impact training program. Through agendas, work planning, and reporting keep impact on equal footing with the more objective work streams throughout the year, balancing priorities as necessary to deliver an effective training program while still moving forward the other execution pieces that overlap, aiming to achieve >80% training attendance which leads to excellent retention of knowledge and adoption of training practices. Through close collaboration with the Systems Division (especially Logistics and Business Operations) as well as the training execution team and management of the Operations Support Coordinator, lead the Field Operations team’s planning and execution of input delivery. Identify opportunities to improve customer service through input delivery, aligning this extremely important workstream with other desired outcomes in training and repayment, and identifying and implementing cost saving measures where possible. Planning of execution key focus areas on a rolling 4-6 week cycle and aligning materials, logistics, communications, and cross team coordination ahead of time in order to ensure smooth execution. Crafting the weekly “message” that goes out to all staff and cascades out to our farmers, contextualized for each level of staff and for clients. This is communicated through email, sms, meeting agendas, and talking points/materials which are all aligned to the central message of the week, adding up to strategic alignment of everything pushed out to the team. Spend a significant amount of time “in your field” -- i.e. field visits, district meeting visits, attending field leader meetings, etc. in order to ensure the key messages are well understood and to monitor and adjust rollout. Invest in protecting the Field Officer’s time - through your oversight and management of program execution you will ensure that our Field Officers are not overwhelmed by too much information and too many tasks, but are able to focus on the most important work. Takeover the management of the mobile repayment team and scale up of this work stream. Work with the field team, mobile repayment scale-up supervisor, and repayment coordinator to plan and implement a comprehensive mobile repayment improvement project aimed at preparing for full scale up in the 2020 or 2021 seasons. Build a new function within One Acre Fund Tanzania - Field Data Management - aimed at effectively collecting, analyzing, reporting, and storing data for all major work streams in the program. Set up and downshift the repeatable analysis that takes place throughout the year - calendar and de-skill the different pieces of analysis so going forward these can be handed off to the Business Operations team. Build in systems to utilize our huge data resources aimed at informing key decisions on week to week and annual strategy. You will be responsible for constantly reassessing the critical path of your team and allocating resources accordingly to make sure the team is focusing on the highest impact work and investing their time wisely. You are a mission-driven individual that can align 100% with OAF’s values in putting farmers first. International development/NGO/Agricultural work - preferably in East Africa. 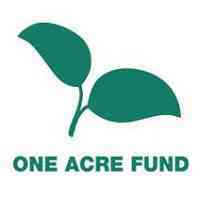 Leading position in One Acre Fund Field Operations in another country. Private sector business, start-up or government work in a developing country. You have at minimum 2 years direct management experience with strong examples of people development. Strong general management skills and ability to manage a wide range of project across different teams. Excellent verbal and written communication skills - ability to concisely impart a complicated message to a wide variety of audiences through multiple mediums, tendency to proactively communicate and solve problems before they affect implementation. Ability to strike compromises and to diplomatically disagree with others when their priorities do not align with your team’s. You combine strong leadership skills with good humor, patience, and a humble approach to service. No; Must have existing rights to work in Tanzania. Tanzanian nationals are strongly encouraged to apply.